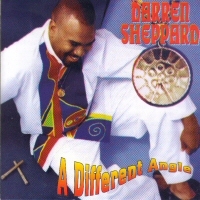 Darren Sheppard's pan career began as a bright, talented soloist of a mere seven years of age in the native land of the pan, Trinidad and Tobago. He quickly distinguished himself as the only student to participate in the school steelband competition in four disciplines: Captain, Arranger, Soloist and Drummer. He has performed for Prime Minister Patrick Manning and former President of Trinidad & Tobago, Noor Hassanali. As part of the Toronto Musical community where he has been involved since 1992, he has continued to inspire audiences with his virtuosity and versatility on the pan. Darren continues to place plan in the Canadian mainstream with performances at the duMaurier Toronto Jazz Festival, the Beaches Jazz Festoval and the annual Jazz on Steel concert series. In 1995 he performed at the Ontario Science Centre for visiting U.S. astronauts. He is currently producing his first CD. A multi-talented percussionist, he has also played drums and various percussion instruments with Volt Express, Kalyan, Black Silk and Fonclaire Steel Orchestra.